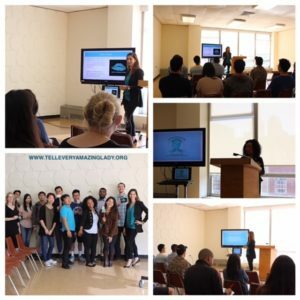 T.E.A.L.® CEO, Pamela Esposito-Amery was invited to present as a guest professor on October 18, 2016 for an Advertising in Non-Profit lecture to members of the Brooklyn College Marketing Society and other students and faculty. 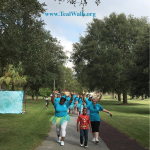 Pamela provided insight on advertising, starting a non-profit, social media, event planning, internship opportunities in addition to promoting awareness about the signs, symptoms, and risk factors of Ovarian Cancer. Thank you to Members of the Executive Board of the Brooklyn College Marketing Society especially Porsha Borowski and Orah Fields for inviting us.